2019 is going to be a major year for WWE. 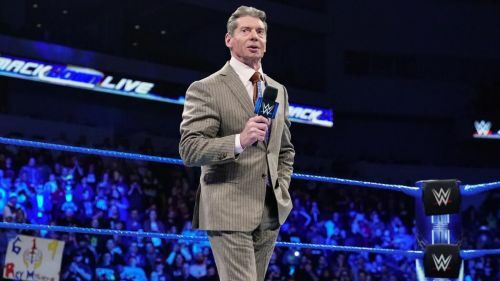 As we slowly move into a new era (and we know, the term has been used many times before), we're going to see a change of guard, a rapid decrease in the status of part-time superstars, and the rise of current, younger stars instead. The World Championship picture on both brands is going to be very interesting. This might be the first year in many years that we have two solid, long-term and full-time World Champions. Also, with the shift of SmackDown Live to FOX, it's very possible that WWE starts moving bigger names to the brand to attract audiences. There's a lot of change that will take place, and we're excited to say that the change is mostly going to be for the better. There will be a crop of superstars who benefit most from this, reaching new heights in 2019. These are the five superstars that Vince McMahon probably has big plans for this year. 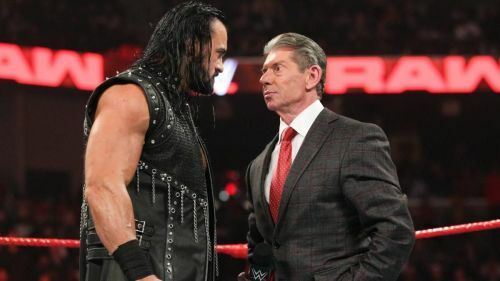 Vince McMahon had big plans for Drew McIntyre from Day 1. He was the "chosen one", after all. It's just that his route to the top took a big, unexpected turn. But here we are. It's 2019 and Drew McIntyre is as hot as ever. He possesses the look, the skills in the ring and on the mic to be a main event talent, and that's exactly where he'll be elevated to in 2019. Naturally, McMahon wouldn't want to rush and push McIntyre, but with a few spots opening up this year, we might see The Scottish Psychopath end the year as RAW's top heel. It's also very likely that we see McIntyre get a run with both the Intercontinental and Universal Championship this year. It would certainly be interesting.